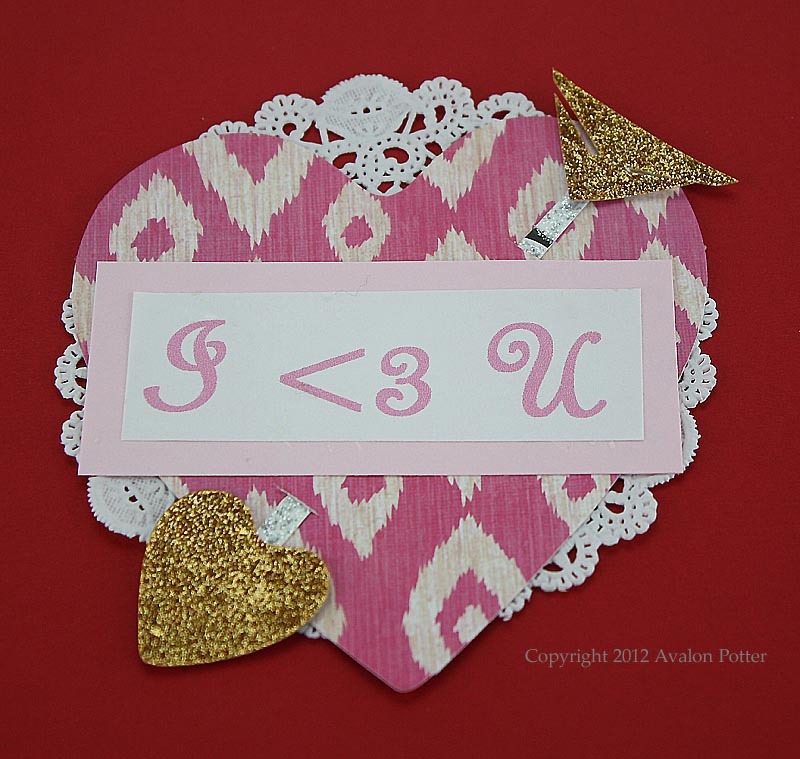 My mom has been making super cute Valentine's lately, so I decided to make one of my own! I love this pretty pink patterned paper and there were some left over scraps from the glittered gift bag she used for another project. You can use whatever papers you like, maybe even recycle some old Valentine's or use book pages...it's up to you. 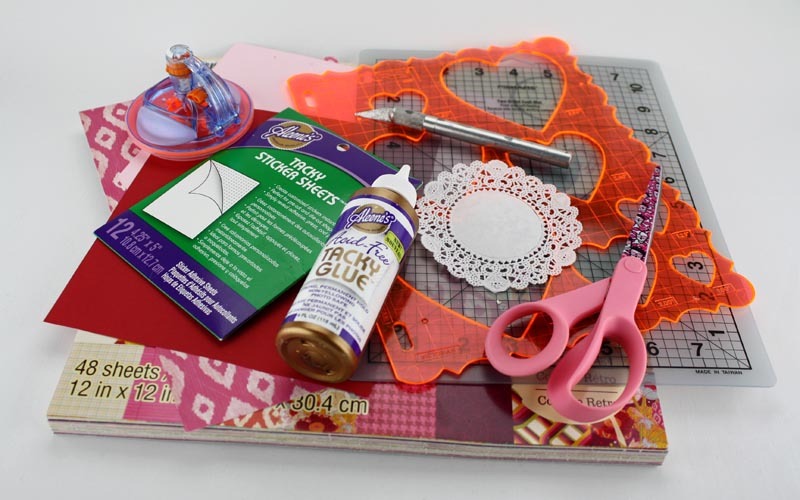 Aleene's adhesives make it easy to make wonderful projects super fast! Computer and printer to print out I (Heart Icon) U. 1. Print out I (Heart Icon) U on a computer. The heart icon is a less than symbol followed by the number 3. I used a French Script MT and sized it at 48. 2. Cut out the large heart and small heart using the template and shape cutter. The large heart is the largest on the template and is 3.5"x3.75". The small heart is 1"x1". 3. Use scissors to cut the arrow shaft to 4"x1/4". Cut the arrow feathers to 3/4"x1 1/4". 4. Cut out words and cut a frame out of the pink paper as a background. 5. 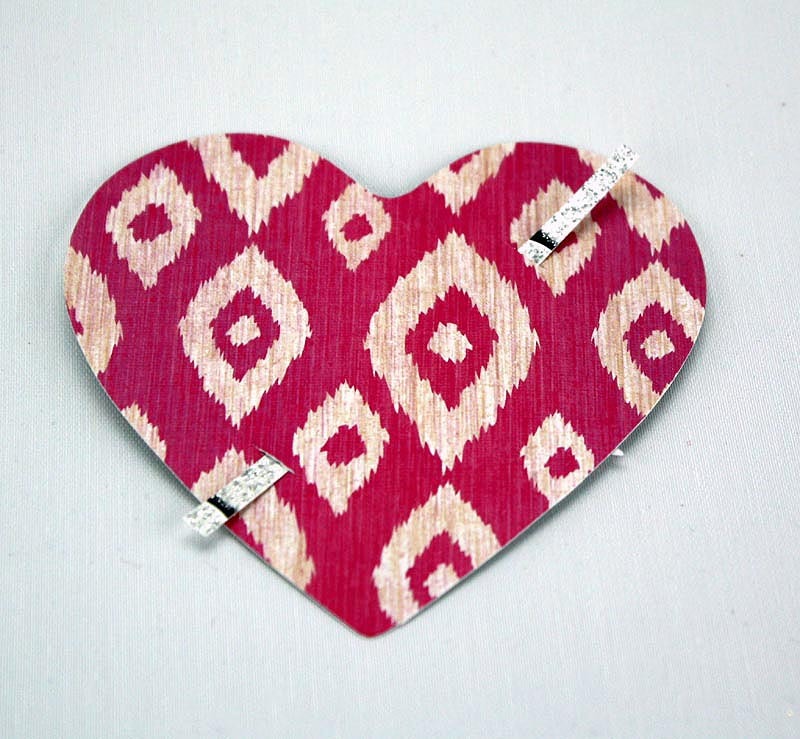 Cut a small slit a little bigger than 1/4" diagonally using the craft knife at the top and bottom center of heart. The distance between the two slits should be about 2.5". This is where your arrow will go. 6. Thread arrow into slits. 7. 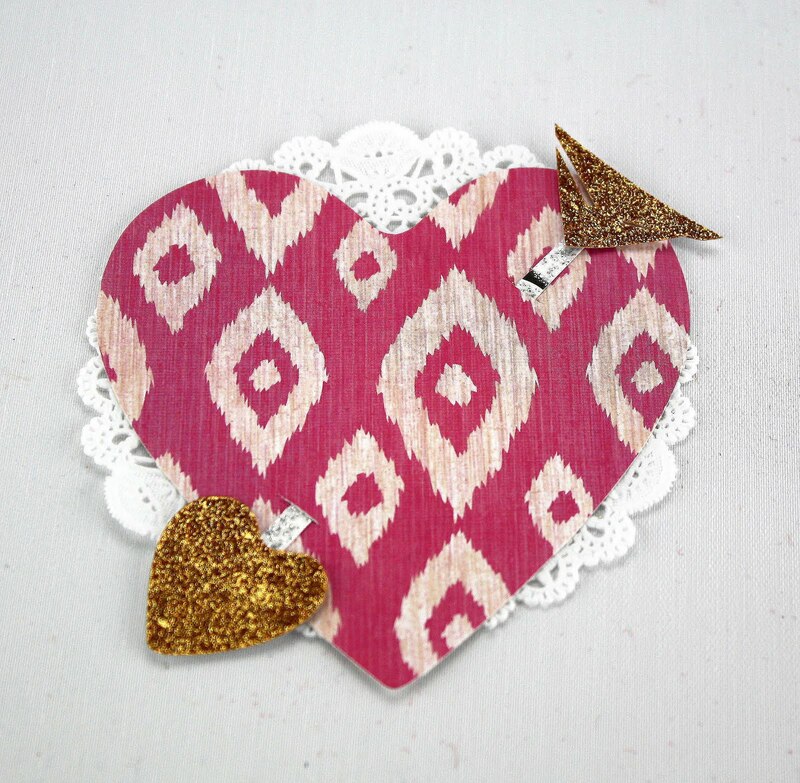 Attach doily to back of heart using sticker sheet. Attach arrow point and feather with Aleene's Tacky Glue and allow to dry overnight. These are absolutely precious! I cannot wait until Valentine's Day!